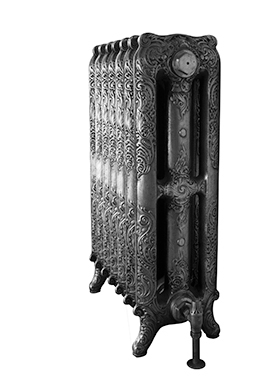 One of the first produced decorative cast iron radiators, originally manufactured in France in the 1890's, it features elegantly scalloped top detail with interwoven decorations. 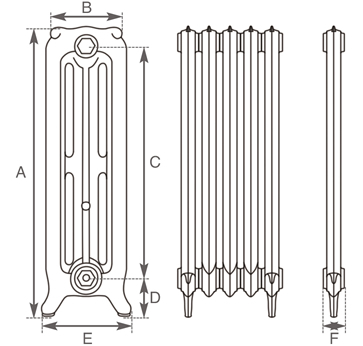 The Rococo 1,2 and 3 column radiators come in a variety of heights the ranging from 460mm to 950mm tall. 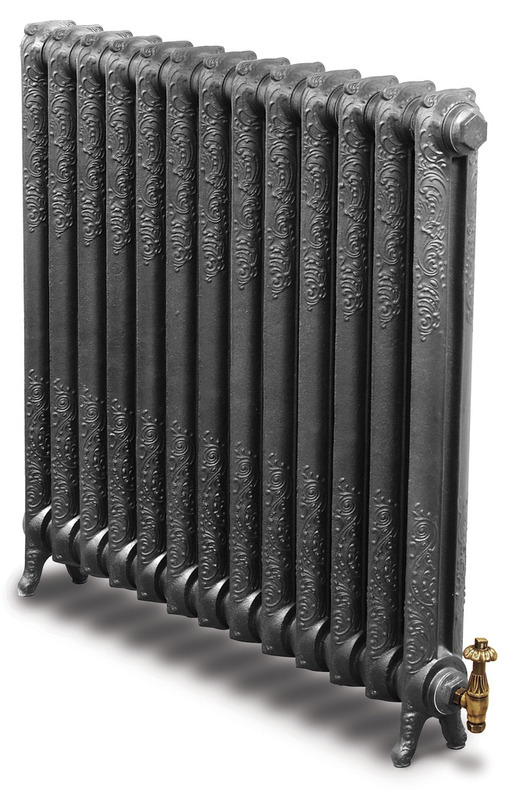 The section width of the Rococo radiators varies from 140mm to 250mm deep making them suitable for every room in the house. 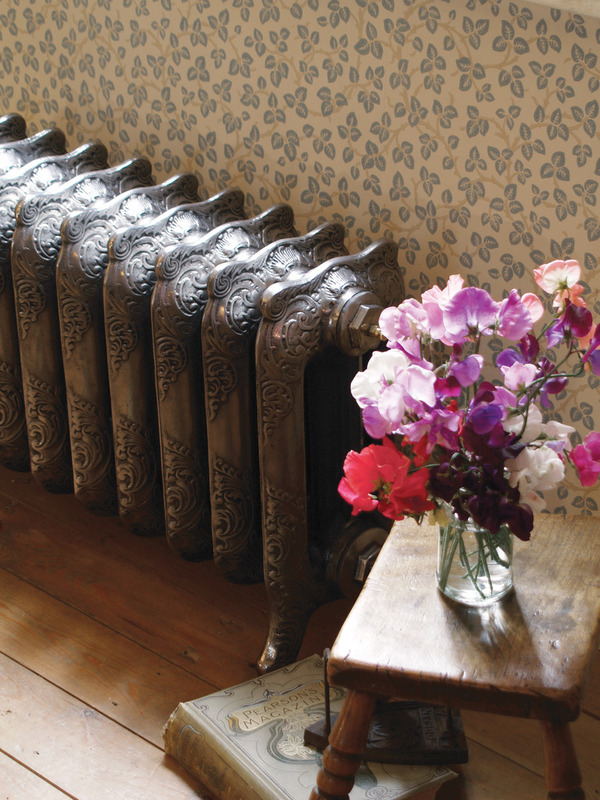 The 140mm narrower radiator is an ideal choice for hallways and small spaces like the down stairs cloakroom. The ornate style of the Rococo adds grandeur and opulence to a room without being over the top. 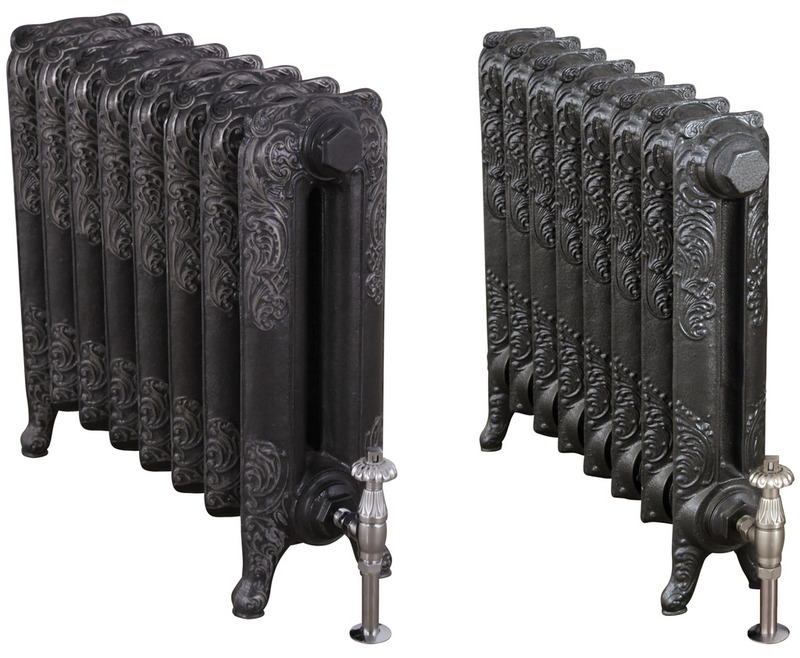 For that wow factor then go for a hand burnished finish it really does turn heads. The hand burnished finish is also low on maintenance never having to get the paint pot out. 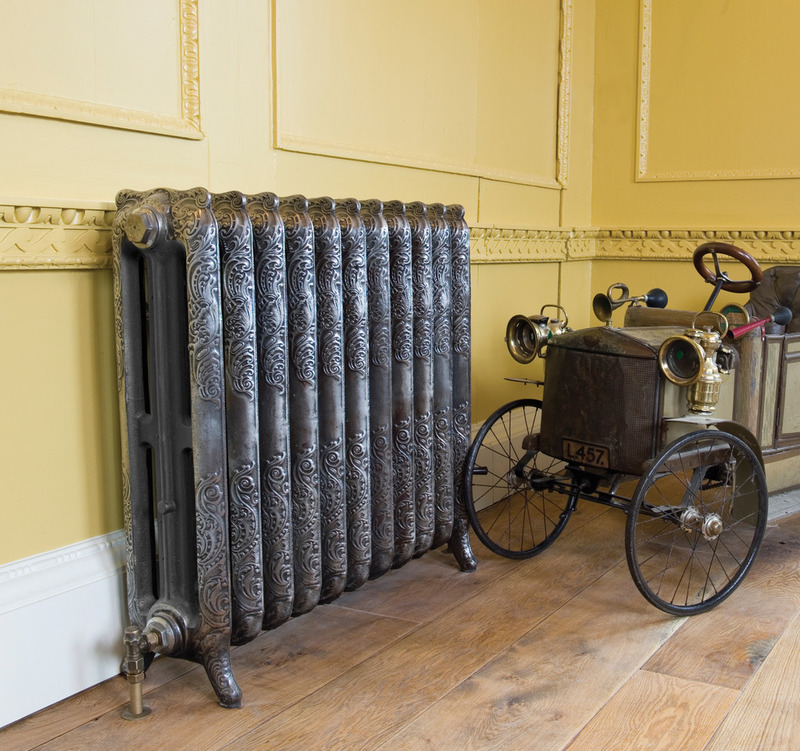 Due to the detailing of this radiator the antique finish also looks stunning as it shows up the pattern with great effect. For a more simple statement then a flat paint finish is all you need.